CE457A HP Laserjet P2055d Printer - Refurbished with 3 months Return To Base Warranty & Working Consumables. The HP Laserjet P2055d Printer is as good as buying new as all worn parts are replaced. This saves you up to 50% off the price of a brand new printer. We are confident that you will be 100% satisfied with your HP Laserjet P2055d Printer and are here to help with any support questions you may have. The Manufacturers part number/product code for this item is: CE457A. Boost your workteam with the HP LaserJet P2050 Printer Series. Create high quality documents with 1200 dpi, at fast speeds of up to 33 ppm. Performance features include expandable memory, automatic two-sided printing and Gigabit networking. 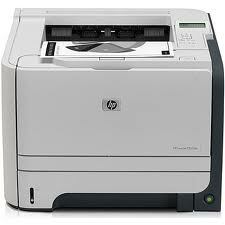 Get more done in less time with this high performance HP LaserJet. - Get print speeds of up to 33 ppm A4 and a fast first page out from low power mode with no wait Instant-on Technology. - Save time and paper with convenient automatic two-sided printing. - Quickly and accurately process complex print jobs with a 600 MHz processor and expandable memory. - Enjoy reliable sharing and efficiently utilise printing resources with high speed connectivity via built-in Gigabit networking. - Easily connect the printer to your computer with the Hi-Speed USB 2.0 port. Create professional quality output with this compact printer. - Achieve professional quality with true 1200 dpi resolution for crisp text, fine lines and sharp images, every time you print. - Adjustable paper trays help you easily print a variety of black-and-white documents in all sizes from A6 to A4 (from all trays). - Save valuable desktop space and enjoy convenient access to the printer with its sleek, compact design. - The high yield, All-in-one HP LaserJet print cartridge is designed for simplicity and delivers consistently great results. Easy to set up, use and maintain. - Navigation is intuitive with the LCD control panel. - Experience fewer interruptions with a 250-sheet input tray, 50-sheet multipurpose tray and optional 500-sheet tray. - Conveniently order supplies with HP SureSupply. - HP Web Jetadmin enables access to printer status, alerts, configuration settings and more. HP Universal Print Driver increases ease of use and productivity. - Interactive intelligence built into the HP print cartridge enables alerts when supplies are low, making management easy.